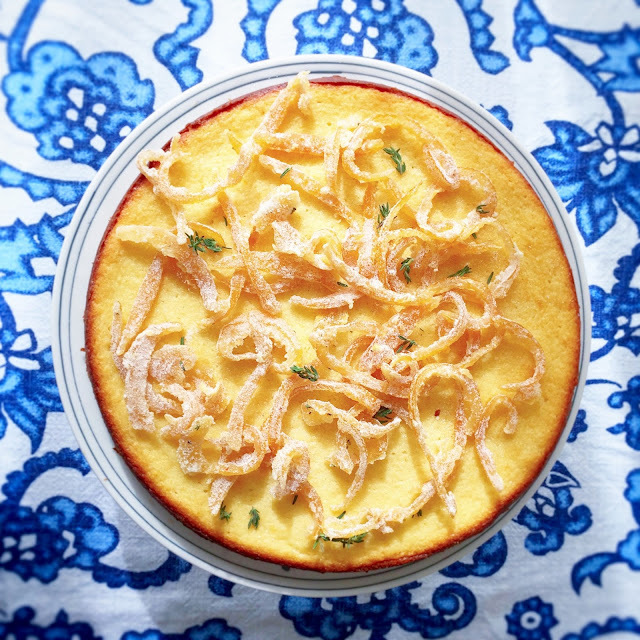 This recipe took not one but two field trips. First stop, Highwire. Home of my favorite tea (Winter Morning--no competition), this local coffee shop opened in 2010. They are completely committed to being the local coffee shop, even as Philz is planning a move-in just down the street. On Thanksgiving, the owners hand out fresh, free coffee, and it's my go-to tea store, including my weekly Wednesday cup of Spearmint after work. There is no other place to buy my Earl Grey tea. It is that simple. One of the classics of the tea world, Earl Grey takes its name from Earl Charles Grey, the prime minister of England from 1830 to 1834 (who had a hand in the abolition of slavery throughout the United Kingdom in 1833 but is better known for the appellation attached to his tea). It is simply black tea combined with oil from bergamot, a citrus fruit (think a cross between a sour orange and a lemon) grown, for the most part, in Italy, but also in the south of France, Turkey, Mauritius and Ivory Coast. There is no specific trademark on Earl Grey tea, so different blends can vary significantly; sometimes it's combined with blue cornflower blossoms, lavender, and even Seville oranges. Your only job is to choose the one you like the best. Tough work, but someone has to do it. Second stop, Bi-Rite Creamery. 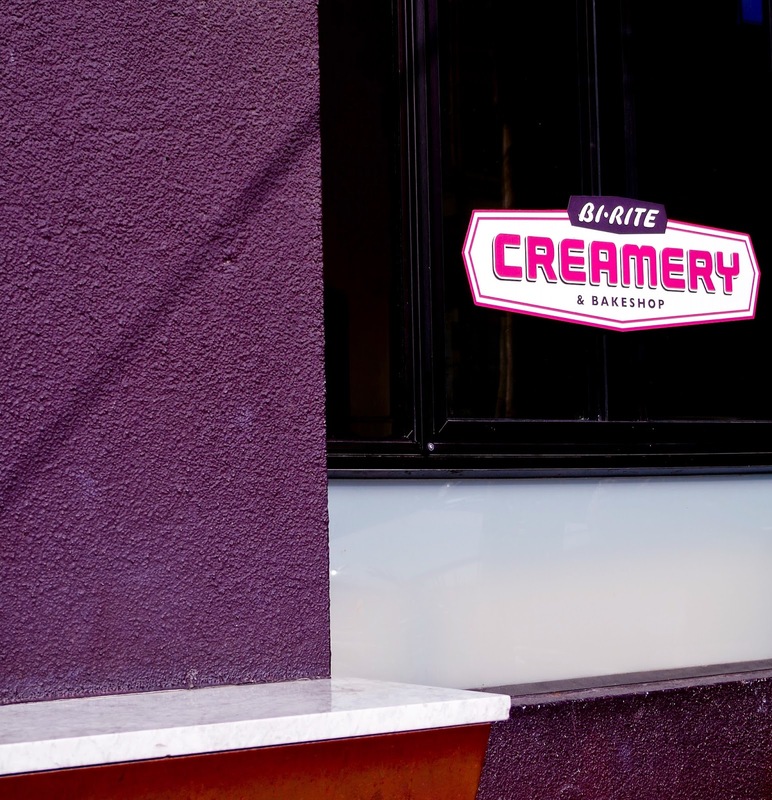 Part of the Bi-Rite Market, that San Francisco staple which opened in 1940, the Creamery started handing out ice cream in 2006. The creamery uses Straus cream, which is quite possibly the richest, sweetest cream there is (they also use Mead and Mead's Maple Syrup in their Maple Walnut ice cream--another taste to behold), and their Salted Caramel ice cream is, well, transcendent. Their storefront on 18th street is catty-corner* to Mission Dolores and its beautiful park, which was spotted with people this weekend soaking up the 70 degree weather (I know, I know, New England, that wasn't a fair statement). *Catty-corner is the southern equivalent of kitty-corner, for those of you who wondered what the heck I just said. Where I come from is right on that red-blue line, and no we're not talking politics but the dialect pertaining to kitty vs. catty. Also, to be clear, I just lost 15 minutes of my life to this website, which shows the results of the 2003 Harvard Dialect Survey. I am never getting that time back. While the creamery sells its own baked goods (and even serves the Earl Grey ice cream sandwiched between two dark chocolate cookies to make it even more portable), a well-placed Girl Scout cookie stand would do right by this particular ice cream. I am thinking Lemonades, here. Third stop, my own kitchen (not a field trip, but home base). This recipe is pretty darned simple. The only tricky part is getting the steeping time just right. I over brewed it just a little (and made some adjustments below in the recipe). You want the tea flavor to be strong but not bitter, and the base should taste like a very satisfying cup of strong, creamy tea. However, one overly-brewed batch just means I have to make another. Finally, as a side note that has nothing to do with Earl Grey Ice Cream but has everything to do with how my week is going, my toe is not broken. So here's the story. On Saturday, I closed my laptop, which was perched on the edge of the table. As I did, the computer flipped over and plummeted to the floor, saved from sure demise only by my toe. Set up on the couch with a bag of frozen peas and five pillows on which to prop my foot, I was not sure if my toe was broken. After a trip to Radiology on Sunday, the doctor called on Monday to say that my now purple and swollen fourth toe on my right foot was, indeed, not broken. Yay. But I am a little limited in how far I can walk, and it really is a doozy of a color. All the more time to sit on the couch and eat ice cream, I guess. P.S. Isn't this bowl rather charming? A gift from the bff. 1. In a heavy nonreactive saucepan, stir together the cream, milk, half of the sugar (1/4 cup), the tea, and salt. 2. Put the pan over medium-high heat. When the mixture just begins to bubble around the edges, remove from the heat and cover the pan. Let steep for about 5-10 minutes, or until the cream has taken on the distinct flavor of Earl Grey tea. Stir occasionally and taste it to monitor the progress. It should taste like strong tea, but not bitter tea. Strain the cream and return to the pot, covered. 3. In a medium heatproof bowl, whisk the yolk just to break them up, then whisk in the remaining half of the sugar (1/4 cup). Uncover the cream mixture and put the pan over medium heat. 4. Carefully scoop out the 1/2 cup of the hot cream mixture and, whisking the eggs constantly, add the cream to the bowl with the egg yolks. Repeat, adding another 1/2 cup of the hot cream to the bowl with the yolks. Using a heatproof rubber spatula, stir the cream in the saucepan as you slowly pour the egg-and-cream mixture form the bowl into the pan. 5. Cook the mixture carefully over medium heat, stirring constantly, until it is thickened, coats the back of a spatula, and holds a clear path when you run your finger across the spatula, about 3 minutes longer. 6. Strain the base through a fine-mesh strainer into a clean container. Set the container into an ice-water bath, wash your spatula, and use it to stir the base occasionally until it is cool. Remove the container from the ice-water bath, cover with plastic wrap, and refrigerate the base for at least 2 hours or overnight. 7. Freeze in your ice cream machine according to the manufacturer's instructions. While the ice cream is churning, put the container you'll use to store the ice cream into the freezer. Serve right away or, for a firmer ice cream, transfer to the chilled container and freeze for at least 4 hours.